// Prophylactic Antibiotics in COPD: Should You or Shouldn’t You? Prophylactic Antibiotics in COPD: Should You or Shouldn’t You? From aminoglycosides to tetracyclines, antibiotics are a group of medications that are used to treat a wide variety of infections caused by bacteria. Although very effective in the treatment of bacterial infections, antibiotics won’t work effectively on infections caused by viruses, such as the common cold, influenza (flu), hepatitis or HIV. What Does the Term “Prophylactic” Mean? Generally, you develop symptoms of a bacterial infection, go to the doctor, and leave the office with a prescription of antibiotics in hand. You self-administer the medication for approximately 10 to 14 days and voila; your infection is cured and the empty bottle goes into the trash. When antibiotics are prescribed prophylactically, this means they are to be taken on a daily basis to prevent a bacterial infection that hasn’t happened yet. In COPD, this practice is typically reserved for patients who are at high-risk for frequent flare-ups, or COPD exacerbations. Call 911 or go to the nearest emergency room if you experience difficulty breathing, wheezing, swelling of the eyelids, face, lips or tongue, rash, hives or any other unusual symptoms after taking antibiotics. 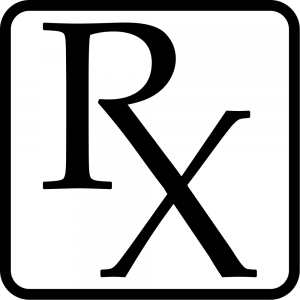 Refer to the prescription bottle for dosing instructions. Clarify misunderstandings with your doctor or pharmacist. Don’t take your medication more often than prescribed. Doing so will not make you better any faster. Always take the entire course of antibiotics. Don’t stop taking them just because you feel better. Pay attention to medication warning labels; for example, if advised, take your medication with food or milk. Don’t use antibiotics that are intended for someone else. Because they’re used to treat a wide variety of bacterial infections, the antibiotics you borrow from someone else may be indicated for an entirely different strain of bacteria. This means they may be ineffective in treating your particular strain of infection. Ask your doctor how to manage possible side effects. Nausea, vomiting and diarrhea are the most commonly reported side effects associated with antibiotics. Mild side effects such as these can easily be controlled with over-the-counter medications. 1 F. J. C. Millard and J. C. Batten. Comparison of Ampicillin and Tetracycline in Chronic Bronchitis. Br Med J. Mar 9, 1963; 1(5331): 644–646. 2 Herath SC1, Poole P. Prophylactic antibiotic therapy for chronic obstructive pulmonary disease (COPD). Cochrane Database Syst Rev. 2013 Nov 28;11:CD009764. doi: 10.1002/14651858.CD009764.pub2. 3 The Global Initiative Obstructive Lung Disease. Global Strategy for the Diagnosis, Management, and Prevention of COPD. Updated 2014.